It’s pretty common knowledge that Ayia Napa (in Cyprus) is known for being party central. 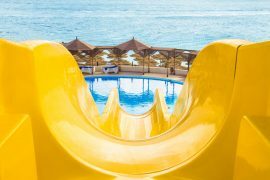 It’s the perfect destination for anyone who loves soaking up the sun and sleeping off a hangover by day, and clubbing, drinking and dancing by night, but is there actually something more to this livelybeach resort? The answer, of course, is yes. Outside the nightclub scene, where big name DJs play and the party rolls on into the early hours of every morning, Ayia Napa has a more sedate side. If you take a closer look it has plenty of cultural sweet spots and hidden natural highlights that many a fun-loving visitor never encounters. Here is my guide to what there is to see if you get your kicks out of venturing off the beaten path and discovering the real heart and soul of place. 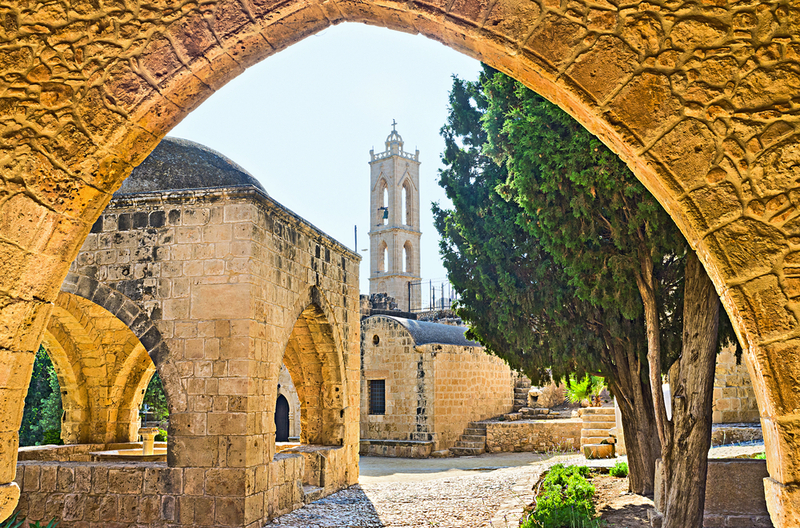 Dating back to the 1400s when the Venetians ruled Cyprus, the monastery that today stands in the middle ofthe town, was once hidden away in a pineforest. The beautifully preserved (having survived the Ottoman invasion in the 1500s) limestone buildings include a church, mill, fountain and cloisters all built in the typical Venetian style. The cave and well that are still evident today have more of a Byzantine influence in their construction. Many of the partygoers that visit the town have absolutely no idea that one of the best museums in the country is in the vicinity. Opened in 2005, this wonderful exhibition space is committed to showcasing all kinds of memorabilia relevant to the sea. 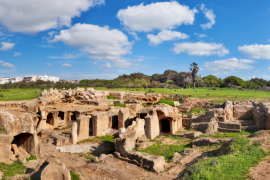 Cyprus has always been a strategically influential island with an important maritime history and the museum covers more thanseven centuries of seafaring civilisations. Fossils, shells, preserved fish and other specimens are also on show, making for an interesting addition to the main exhibits. Free art is always a hit in my book! 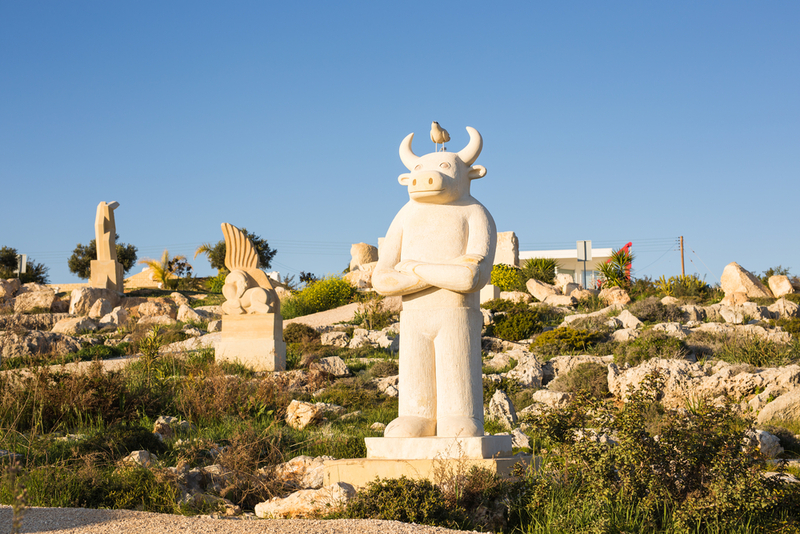 The Sculpture Park that stands on a small hill overlooking the ocean is a real highlight of a visit to Ayia Napa, and there are close to 40 sculptures by 20 different artists gracing the natural surroundings. Carved from limestone and white marble, each statue is completelyunique and I just love to potter around this spot as the midday sun is cooling. You can get some fabulous pictures here too, so don’t forget the camera. Rugged, raw and naturally beautiful, this piece of headland is protected within a natural park. I can highly recommend walking up to the top, as the paths are very pretty and lined with lovely wild herbs and flowers. Benches offer welcome respite at the top and you can easily indulge for an hour or two, just admiring the seascape in front and the rocky features around you. The waters lapping Cyprus’ shores never fail to impress, with the jagged shoreline and dramatic coastal features in stark contrast to the crystalline blue green waters. 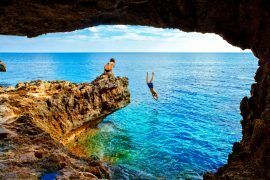 The sea caves that lie below Cape Greco have been eroded away over time and hold a true natural beauty that you must venture down to see. On the short walk down the path to the caves from Cape Greco, you can’t miss the natural arch, wonderful rock formations and honeycomb caves that lie hidden there. Any budding photographer will have a field day! 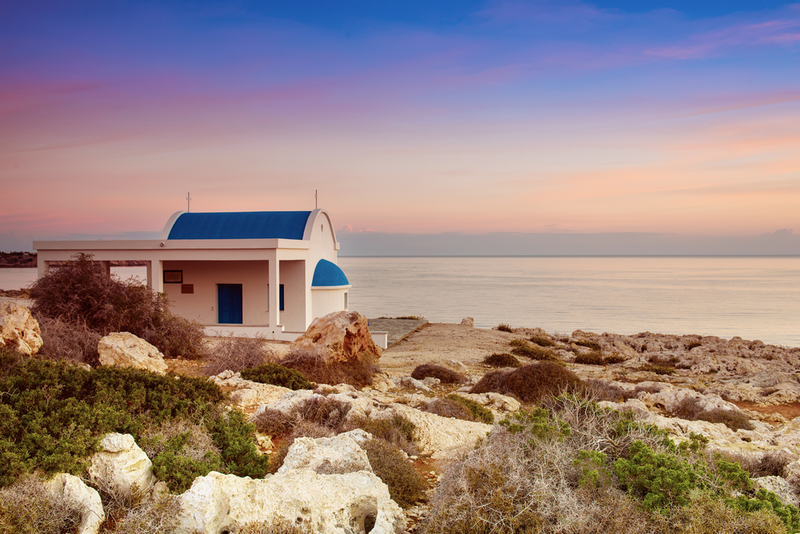 Ayia Napa is only a 50-minute drive from Larnaca International Airport (LCA), which is well served by flights from the UK. The journey from London takes a little over 4.5 hours and there are several airlines offeringflights, including British Airways, Jet2 and easyJet. If you like to be organised when you travel, I suggest that once you’ve booked your flight, you book your onward travel with Shuttle Direct, for a reliable and personal service that can be booked in advance. En route to Larnaca you can rest easy knowing that you will be met at the airport and taken on to Ayia Napa without any fuss. You can simply concentrate on starting your holiday! Bellini Hotel – If you enjoy a balance between having your own space and socialising when on your travels, the simple, well-equipped self-catering apartments offered at the Bellini Hotel are ideal. Each apartment has a balcony or patio that opens out to a communal garden, pool and snack bar. The beaches are only a short walk away, as are the shops and restaurants. 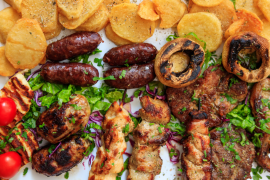 The hotel serves a hearty breakfast every morning and light snacks throughout the day, which can be useful if you don’t want to battle the midday heat searching for somewhere to eat. L’Eros Hotel – Bright and airy, the rooms at L’Eros Hotel offer a cool escapefrom the summer heat. Equipped with a safe and fridge, which I always find very convenient for storing that much needed bottled water, rooms here are spacious and welcoming. Hairdryers and toiletries are also provided, meaning more room in your suitcase for that extra camera lens or guide book! Boasting a relaxed friendly atmosphere, this spot has a buzzing poolside bar, a tranquil sun terrace and a pretty pool, and it’s all only a three-minute walk from the nearest beach. La Casa di Napa Apartments – This fabulous property is conveniently located a seven-minute walk from the beach and only a ten-minute stroll from the main hub of bars and restaurants. The privacy of the apartment-style accommodation is ideal for times when you want to organise some of your trip photos or write up your journal, while the swimming area with café restaurant and pool-bar is the perfect spot for meeting other like minded travellers. Each apartment has a balcony and kitchen, but, for when you are feeling sociable, the onsite restaurant is an added bonus. Free Wi-Fi completes the package at La Casa di Napa Apartments. For convenient private or shared transfers to and from an extensive range of airports across Europe and North Africa, the team here at Shuttle Direct are ready to assist. We offer a competitively priced, personal and reliable service that can be booked online in advance. Aiming to take all the stress out of your onward travel, Shuttle Direct have all the details covered.